Childline: More children seeking help for loneliness - Entertainment - Discuz! Board - Powered by Discuz! Childline has seen a 14% rise in the number of children contacting the charity about loneliness. In 2017/18, the charity delivered 4,636 counselling sessions on loneliness, compared to 4,063 the year before. Nearly 80% of sessions went to girls. Some said watching their friends socialise without them on social media made them feel increasingly isolated. This is the second year loneliness data has been recorded - it used to go down as "low self-esteem" or "unhappiness". The youngest person to call with the problem was just 10 years old. One teenage boy told Childline: "I see all my friends having a good time on social media and it gets me down, I feel like no one cares enough to invite me. "My mood is getting worse and now I'm just upset all the time and can't stop crying." Is Britain really 'the loneliness capital of Europe'? Is loneliness damaging your health? 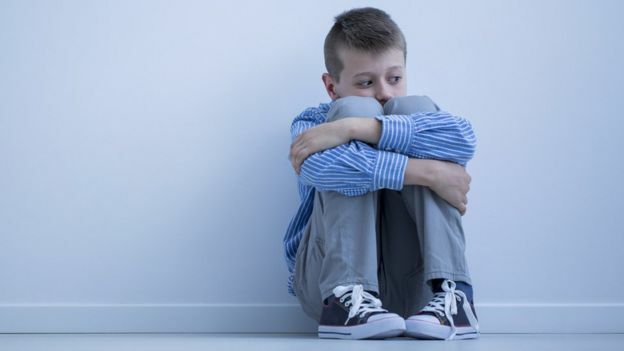 The charity's founder Dame Esther Rantzen said: "Loneliness needs to be taken seriously because it is potentially damaging to children's physical and mental health. "The crucial question is what is causing this rise among the young? "Are we all too busy to make space and time for our children? Is it that we have lost the habit of eating together? "Or is it the illusion created by social networks that everyone else is liked, popular and enjoying a far more exciting life so they feel lonelier than ever?" Younger people are more prone to feeling lonely than older age groups, according to the Office for National Statistics. Research in April found that almost 10% of people between the ages of 16 and 24 were "always or often" lonely, more than three times higher than people aged 65 or over. Mental Health Foundation's Cal Strode said loneliness among young people could be driven by social media. "Teens can have thousands of friends online and yet feel unsupported and isolated," he said. "Technology - including social media - could be exacerbating social isolation."